Are you overweight? Do you want a fair glowing skin? Then, drink lots of water. But just drinking tasteless water can be boring sometimes, isn’t it? So why not add some fruits and vegetables to your water and detox it to stay well hydrated? Detox water can reduce your weight and help to achieve clear and glowing skin. Detox water recipes are becoming trendy as an aid in detoxing the body naturally. The benefits of detox water are effective as they have instant results on your digestive system. The better hydrated you are, the better your organs and systems push out toxins from the body to keep you fresh and vibrant. Detox water is an infusion containing sliced fruits, vegetables, herbs, and spices. 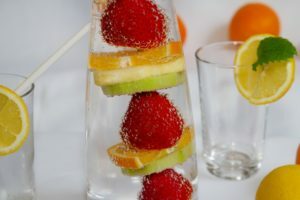 Detox water recipes are designed to rejuvenate you and infuse your body with hydration and nutrients. 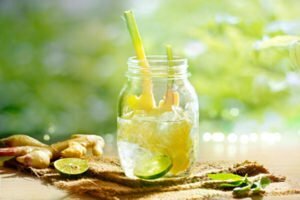 Why Detox Water For Weight Loss And Glowing Skin? Daily thousands of toxins are inhaled by us which are stored in the cells and body tissues. These toxins can lead to certain metabolic and cardiac problems. Detox water is one such option that not only promotes healthy skin but also boosts your energy and metabolism. 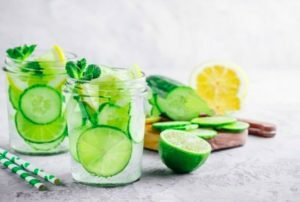 Here are some of the popular detox water recipes for weight loss and glowing skin, which you can have! Watermelon detox is a refreshing detox water recipe that not only helps in weight loss naturally but is also amazing for your skin. 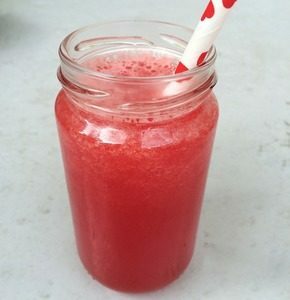 Watermelon detox makes the skin rejuvenated from within. The low-calorie fruit contains lycopene, a strong antioxidant that reduces inflammation and is also an anti-ageing agent. The amino acids present in this juicy melon also help in maintaining blood flow. Cleanse your body and mind with this amazing strawberry-kiwi antioxidant detox water recipe. 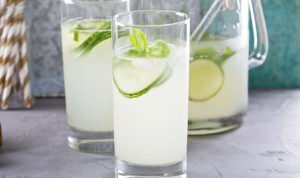 This combination drink is ideal for weight loss as it boosts your metabolism. Kiwi contains dietary fibre along with vitamins C, E and K, which help to maintain healthy skin and reduce your blood pressure. Strawberries fight against free radicals with antioxidants of their own. They promote eye health and relieve heart diseases. This flavored combo detox water recipe naturally detoxes your skin and body. The vitamin C from the lemons is a natural antioxidant that eliminates free radicals. Cucumbers, being low in calories and high in fibre help in weight loss as they fill you up and leave a lingering satisfaction. According to studies the antioxidant fisetin, present in cucumber also helps to improve brain health. Also, it lowers the risk of certain types of cancers like ovarian cancer, breast cancer, and prostate cancer, etc. Green tea is a wonderful detox water recipe drink if you want to lose weight and make your skin glow. 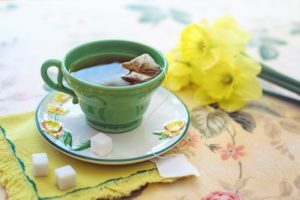 This tea is loved by many for its detoxifying benefits as it boosts the metabolism of your body. The tea is packed with antioxidants called polyphenols which flush out all of the toxins and also cleanse your body. Apart from its refreshing and cooling taste, this detox water recipe improves skin appearance. It helps to boost energy and also aids in weight loss. Kick start your day with this refreshing energy drink in the morning. Start your day with a refreshing healthy combination of lemon and ginger water. A simple yet powerful detox water recipe, which not only helps to get rid of toxins but also boosts your immune system! Thus, when it comes to healthy skin and weight loss, the two go together. So now you have a list of options to choose from. Select the best by preparing these detox recipes and store them in the refrigerator. Drink accordingly and achieve optimum health benefits.